just perfect for the afternoon picnic. black back laced sweater. It's the cutest piece ever. Oh and these white creepers, they're awesome. They look elegant because of the white color and gloss over. mention these sunglasses. They're funny, cool and above all very stylish. Wow, so cool this style ;) Lovely blog, if you want we can follow each other, let me know :) Mina. Hi! I love your blog and thx for your comment on my last post! You have the most creative, colorful and unique style. Loving it! 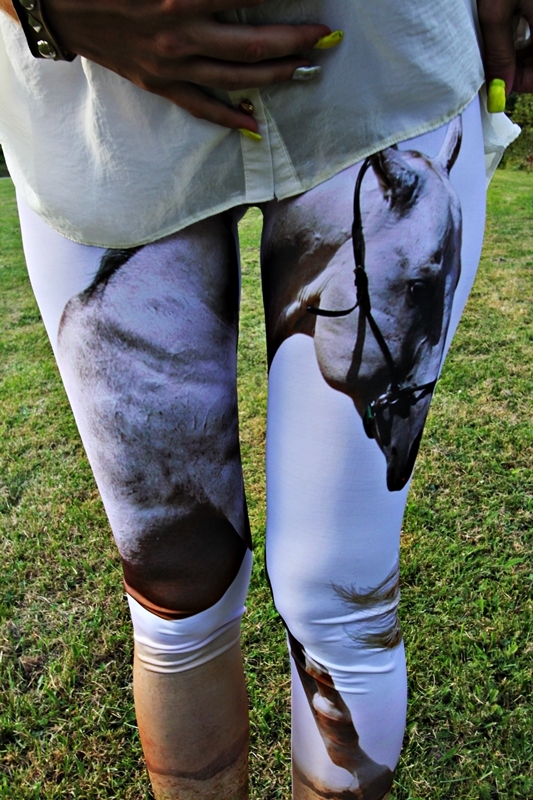 The leggings are amazing, i'm very jealous! A great look all in all. Waoooooo!!! I love these leggins!!! Your sunglasses are cool too!! What you think about this article? Is about you! Gorgeous jacket ! love it ! I started to follow you, do the same! Love your leggins, they are so cool! What a gorgeous day in the meadows. And such a fun pair of leggings. Hello happy day Isabella, lovely look...is beautiful. You have amazing style, dear! Great tight and sunglasses! Thanks for your comment but please don't write the same spam comment on all blogs! Love those tights and what fun sunnies! Love your layering! you look great, love the leggings! I am following u now via GFC, hope you'll return the love.. I love this whole look... those leggings are begging to be in my wardrobe!